Zhangjiagang Shuang Jun Machinery Co., Ltd.
Hello, welcome to Zhangjiagang Shuang Jun Machinery Co., ltd.! "The good faith, rigorous, excellence, dedication" is the aim of the enterprise has consistently adhered to, is also the embodiment of culture.We firmly believe that the great spiritual culture and continuous innovation is a lasting and leapfrog development of an enterprise. 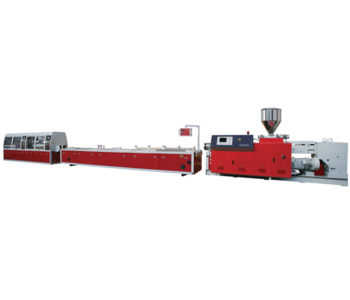 Plastic different profile production line;Wood plastic profile production line;PVC, PE, PE - RT, pp-r pipe production lineWe provide the whole line turnkey engineering, according to customer's project requirements, a senior expert to provide clients with comprehensive services. "The good faith, rigorous, excellence, dedication" is the aim of the enterprise has consistently adhered to, is also the embodiment of culture.We firmly believe that the great spiritual culture and continuous innovation is a lasting and leapfrog development of an enterprise.Our main products are series of plastic:1. 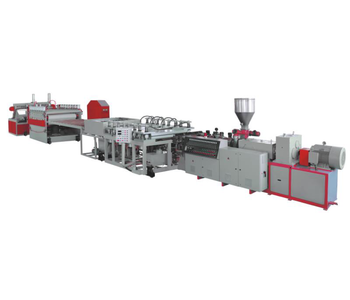 The series of single and double screw extruder;2. 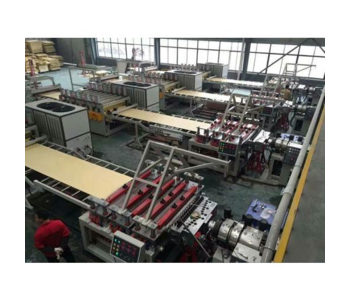 PVC foam board, building templates production line;3. Plastic (PE, PP, PC, PS, ABS, PMMA) sheet, plate4. 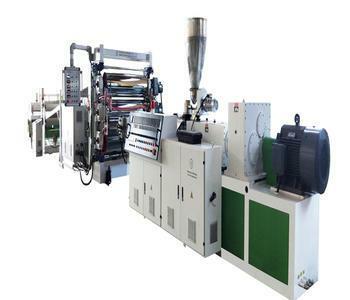 Plastic different profile production line;Wood plastic profile production line;5. 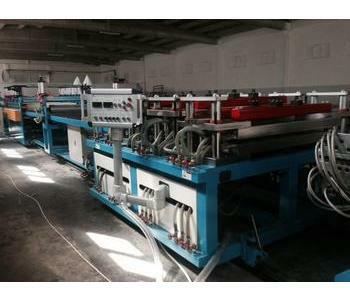 PVC, PE, PE - RT, pp-r pipe production line6. We provide the whole line turnkey engineering, according to customer's project requirements, a senior expert to provide clients with a full range of services. 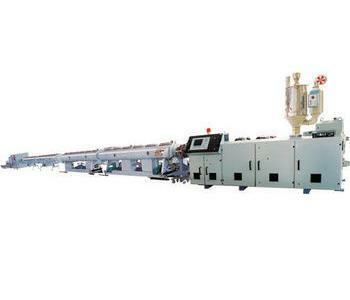 Is mainly suitable for extrusion of PVC WPC sheet, profiles and PVC pipes, with uniform plasticizing, stable quality, high output, long life and other characteristics, is the production sheet, profiles and pipes of the most commonly used extruder.Commonly used models: JHZ45/90, JHZ51/105, JHZ55/110, JHZ65/132, JHZ80/156, JHZ80/173, JHZ92/188.Extrusion production quantity: 50 kg to 800 kg per hour. Wood plastic profile, and timber processing features, use common tools can be sawing, drilling, nailing, is very convenient and can be used as ordinary wood. PVC is made from PVC resin after adding various functional additives, after high temperature extrusion forming of industrial and household PVC products. Desk-top continuous feeding crusher and mill of high performance, small size, beautiful shape, light weight, mobile convenience, simple operation, use safety, special structure vibration absolutely operation, low noise, stable performance, health, clean and very low loss, high efficiency, accurate adjustable fineness;And drug contact parts made of stainless steel, in line with health standards, in addition to the system of fine powder, also can use system decoct medicinal broth of coarse granular yinpian (use coarse granular yinpian decocting herb tea, can increase the rate of dissolution of active ingredients of slices, save a lot of medicines), to the Chinese and western medicines, pearl, chemical raw materials, food ingredients, mineral, soil, food, coal, experiment of raw materials has an ideal crushing effect, is that the first crushing brittle materials.Is clinics, clinics and small hospitals, specialized subject hospital, hospital pharmacy pharmacy, research institutes, laboratories, trial production, colleges, scientific research units, shopping malls, family shattered ideal equipment.Disadvantages: not suitable for crushing oily or sticky materials. Place 1, high-speed mill in relatively stable (or adjust a foot to adjust level), the surrounding environment should be clean, dry and ventilated.2, motor direction of rotation must cover the direction of the arrow.3, must check before starting the host cavity with and without sundry, must first be examined before material crushing materials are not allowed inside any impurities mixed in.4, regular inspection activity tooth plate fixed nut for loosening and all binding parts shall not be loose.Especially should check fixed tooth disc screw.5, lubrication: wherever containing oil cup, right before starting the lubricating oil, should be appropriate to increase the number refueling for continuous work.Actual working hours 300 hours, it is necessary to maintain the spindle bearing cavity clean after replace new lubricating oil.6, replacement parts and pay attention to when using rolling bearing technology of screw hole, operation is conducted by familiar with this machine repairman.Operational difficulties such as user should contact the factory, do not like. 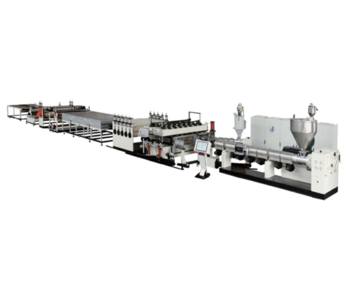 Cutting machine to distinguish from cutting material, divided into metal cutting machine and nonmetallic material cutting machine.Metal cutting machine flame cutting machine, plasma cutting machine, laser cutting machine, water knife cutting machine, etc. ;Nonmetallic material cutting machine cutting machine mainly tools.Cutting machine to distinguish from the control way, divided into CNC cutting machine and manual cutting machine.CNC cutting machine Is to use digital process driven machine movement, as the machine tool movement, random matching of cutting tools for cutting objects.The mechanical and electrical integration of cutter is called the CNC cutting machine.Laser cutting machine for the efficiency of the fastest, the highest precision cutting, cutting thickness is generally small.Plasma cutting machine cutting speed quickly, cutting surface has a certain slope.Flame cutting machine for greater carbon steel in the thickness of the material. 1, check whether there is foreign body inside the crushing chamber (before starting must be empty), connected to the power supply.2, tighten the cover and wing nuts of the crushing chamber.3, start the motor, empty machine 1 to 2 minutes, then slowly from the feed plate by feeding materials, feeding shoulds not be too much too fast.4, in case of material and motor does not turn, please shut down immediately, in order to avoid motor burned, after being cleared the card material, may continue to use.5, the machine is in use process are strictly prohibited to open the cover and hand into the crushing chamber.6, the machine is dry mill, unfavorable crushing moisture content and fat content.7, please change according to the different user screen.8, the machine adopts overheat protector, such as the motor load is too large, will automatically stop, such as to continue operation, please press the protector again.9, in the process of the machine working, the electric current shall not be greater than 15 amperes. Portable high-speed Chinese medicine grinderPortable high-speed single motor matching Chinese medicine pulverizer adopts ultra-high speed, has the structure of precision, small volume, light weight, high efficiency, no dust, clean sanitation, easy to operate, beautiful appearance, both energy saving and safety, and many other advantages.Can crush tank and blade is made of stainless steel manufacturing, in 3 seconds to 2 minutes to complete the coarse and fine powder, can quickly crush many kinds of Chinese medicinal materials and the most grains, crushing range: materials with different properties are well shattered, material lossless, crushing different material will not list the color changing.Such as: American ginseng, ginseng, notoginseng, placenta, fritillaria, pearl, angelica dahurica, 's-tears rice, mung beans, rice, corn, etc. Swing type high speed Chinese medicine pulverizer adopts ultra-high speed single phase motor as power, can quickly crush all kinds of hard and soft materials, crushed into traditional Chinese medicinal materials and a half minutes will generally 50-200 powder, fineness of crushed into a piece of cropland 7 200 purpose it takes only a minute, only two minutes will be crushed into pearl white flour and both homogeneous and lossless.Is indispensable to modern TCM pharmacy (drugstore) dao medicine tools, instead of the traditional medicine a mortar, the efficiency is pounding medicine 50 times by hand, by the users of all ages and high praise!Is suitable for clinics, hospital pharmacy inspectors for traditional Chinese medicine, Chinese medicine pieces and the institute of medicine, health care products sales counter valet processing, and analysis of small sample in the lab and home food, health care products grinding, etc., more adapt to the cropland 7, such as pearl processing vendors carry, also suitable for chemical industry and feed use. High-speed crusher is suitable for pharmaceutical, chemical, agricultural chemicals, food and food industries, has extensive USES.High speed mill using active plate and fixed tooth grilled high-speed relative motion, make shattered by the impact, friction and content combination, such as the impact between the pieces.This machine has simple structure, strong solid, smooth operation, crushing effect is good, the crushed material can directly by the host the eduction in grinding cavity, degree of grain size can be obtained by changing different aperture of mesh. 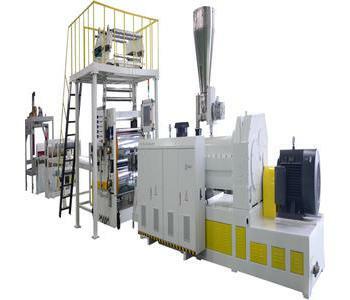 The machine, the activities of the teeth plate rotating at high speed and fixed gear disks, shearing, impacting between friction and collisions between the material under the action of shattered, namely into the powder after screen. (1 cy18ni9ti, SUS304) materials refined but become.This product conforms to the pharmaceutical production "GMP" requirements.